Embezzlement is a real concern among dental practice owners, as it should be. The statistics and reports vary, but it’s safe to assume that if you don’t take precautions, then you have at least a 50/50 chance that an employee steals from you during your career. All cases of embezzlement are sad, but some are tragic, with the doctor losing hundreds of thousands of dollars. Through our research and experience, we’ve learned that there are countless ways to embezzle from a dental practice. 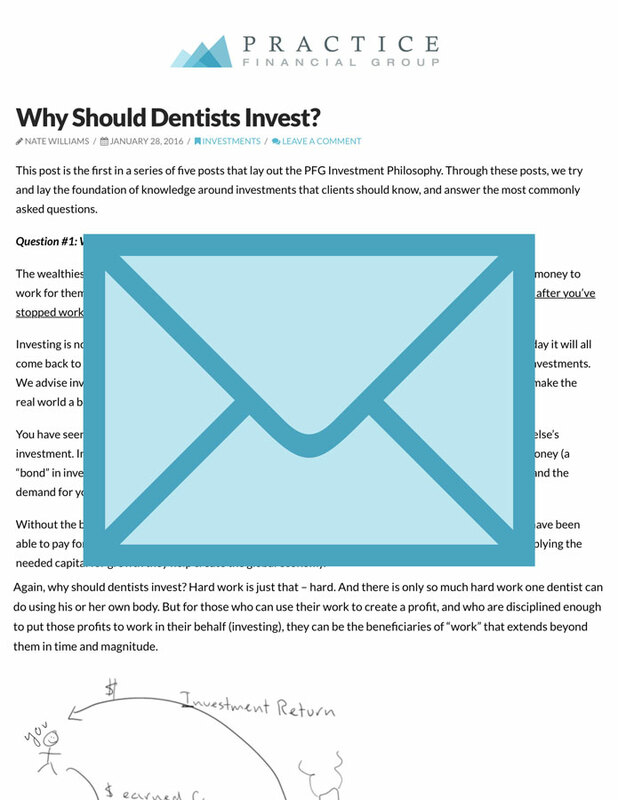 Because of this, we agree with dental fraud expert, David Harris from Prosperident, who contends that it is virtually impossible to guarantee against embezzlement in your practice. Instead, the goal is to reduce the risk of occurrence and to minimize the magnitude of loss. In effort to simplify a complex topic, I have organized this issue into three lists: 1) some basic principles and practices you should follow; 2) a list of what PFG does to guard against embezzlement; and 3) a checklist of things you should be doing to address this issue. This third list – the things you should do – isn’t exhaustive. We may decide in a future blog post to give you the several page list of what you could be doing. For now, we’ll start with the most important activities first. If you have one person who does everything relating to money (paying bills, keeping the books, collecting money) that’s a problem. Ideally, the people who have access to cash will not have access to the accounting records, for example. Typically, someone who embezzles was dishonest before you hired them. Check references! Limit Access to the Spending and Collecting of Money. One office we recently worked with had 8 people with company credit cards. Keep a Healthy Professional Skepticism. An embezzler is commonly the doctor’s most trusted employee and thus has the most access to money and records. Implement Internal Controls and Don’t Cut Corners. Internal Controls—procedures designed to reduce the risk of fraud and error—can often be annoying to work with. For example, requiring the doctor to sign every check is much more cumbersome than using a signature stamp. But don’t cut corners. Keep your books offsite, which will segregate cash handling (at your office) from accounting for the cash (at our office). Restrict access to the accounting software on a need-to-use basis. Review any unfamiliar or strange transactions with your PFG accounting specialist. Review your financial statements for irregularities, including costs higher than industry benchmarks and unexplainable increasing overhead or decreasing collections. Compare, over time, collections from your practice management reports with what actually hits the bank to identify unexpected trends. We do this anytime a client suspects a discrepancy. We will also do this monthly for any client who is willing to send their monthly PM collections report to us. Please email me (ryan@practicefinancialgroup.com) if you aren’t currently sending us monthly practice collections reports but would like to start doing so. Ask you to use myPay Solutions instead of doing payroll in your office. Using an outside payroll service dramatically reduces the likelihood of payroll fraud. Be the “eye in the sky” so your employees know that someone is watching over things from afar. Employees who see the practice’s CPA firm highly involved will presumably feel less tempted to steal. Download the app for your credit card and bank. Turn the notification setting on so that you get a text message anytime the card is used. If you don’t recognize the expense, ask your team. This “asking” is protective as it shows them you’re aware of what’s going on. Use the security access features of the practice management software so that each employee has the appropriate level of access. NO employee should have full access to the PM software. Work with your PM software provider to make sure this is dialed in, even if you must pay for this extra consulting work. Limit the number of credit cards in your office only to those who absolutely need them, not for convenience, but as a necessary part of their job. Be uncompromisingly honest in your own business practices. This includes not cutting corners with insurance companies or pocketing collected cash before it’s deposited and recorded on the books for taxes. If you are dishonest, it’s very easy for your employees to observe this and follow suit. Take a random sample of 3-4 days each month where you re-print the day sheet and compare it both to the deposit slip and to what actually hit the bank for that day. Review the adjustments and deletions reports from the Practice Management Software. Make sure you are familiar with all adjustments and deletions. Review the refunds report in the practice management software to make sure you authorized all refunds. Review your merchant services monthly statement for unfamiliar credit card refunds. Ensure all patient accounts that have been “written off” in the PM software or sent to collections make sense based on the patient. Sign every check. Have an assistant gather all bills and present them to you for authorization to pay. The assistant will then write/print the checks and bring them back to you for signature. Review your bank and credit card statement for any unfamiliar transactions. Check your Amazon purchase history online against Amazon charges on your business credit card. Review the A/R aging report to identify patient accounts past due that shouldn’t be – either because certain patients are historically prompt payers or because patients have insurance. Review payroll reports in the myPay Solutions side of your PFG portal for payroll errors. Reconcile hours worked on one payroll report to the timesheets. Notify the accounting and payroll coordinators in your office of your findings from all of the above steps, even if everything checks out. This communication is very important because there’s less temptation when an employee knows the doctor is reviewing the numbers. An employee swipes their personal credit card through the machine and gives a “refund” for services they never paid for. A credit shows up on their account that reduces their balance outstanding. An employee snaps a picture of a patient or insurance check and makes a mobile deposit into their personal account. They then either let the patient account go into 90+ days or make a fictitious adjustment. Or, if they have the wrong security access, they just delete the production as if the work you did never happened. In this scenario, you’d hope the bank is reviewing these mobile deposits for accurate payee info, but banks are not catching this. An employee pockets cash on their way to deposit money at the bank. An employee puts their cell phone bill on autopay using the practice checking account or credit card number. If, after reading this article and implementing the steps in the checklist above, you suspect embezzlement is happening in your office, please don’t panic. Also, please DO NOT confront the suspected perpetrator. Instead, contact your lead planner here at PFG and we will help you sort through the evidence to make a plan of action. If, after our review, we decide there’s a chance you are being embezzled, we will engage experts in forensic accounting to ensure the investigation process produces the best possible outcome for you. In this article, we’ve discussed creating a system of controls and doctor oversight in an effort to mitigate the risk of employee theft. However, protecting against embezzlement goes far beyond numbers and checklists. In a future post, we will explore an equally important component of embezzlement protection. For us accountants and for some of you dentists, it’s a less straightforward piece of the embezzlement puzzle because it involves hiring practices and interpreting human behavior. Nice work and great information, Folks at PFG. Thanks so much for taking such good care of us.